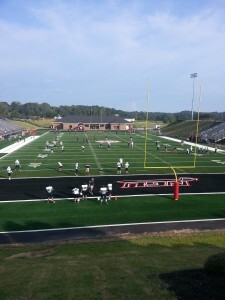 North Greenville University’s Field of Dreams is APT’s Gridiron RS+52 turf! Click here to see a video on North Greenville’s fantastic new Gridiron RS+52 fields. Click here to read a letter from North Greenville University’s President, Dr. Epting, regarding their new surfaces!